Mr. Allan T. Grantham, CPCA, CEA, CFP, TEP, is the founder and has been President of Atlas Estate Planning Services Limited, located in Halifax, Nova Scotia, Canada, since July 2003. The company specializes in personal and corporate estate planning services. 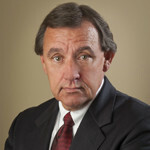 Mr. Grantham, who has been in the life insurance industry since 1978, has concentrated in the estate, tax, and financial planning areas since 1983. Mr. Grantham and his wife are actively involved in various charitable organizations, both Canadian-based and internationally, including creating “Friends of Haiti”, which raises funds for projects and children in Haiti, and is administered through Chalice Canada, a charity which provides nutrition, education, and shelter to children and the elderly in various developing countries.